If you are looking for office furniture in Orlando, you are in luck. There are a number of excellent stores offering a wide selection of office furniture in a variety of styles and designs. The Orlando, Florida, area offers shoppers numerous office furniture stores selling everything from top of the line brands to discount pieces. 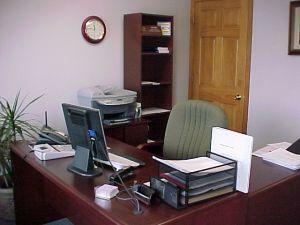 The central Florida metropolitan area also has a number of stores offering refurbished and used office furniture. If you are interested in renting or leasing office furniture in the Orlando area, there are several stores offering that option in addition to their retail sales. Other Orlando retailers specialize in leasing and renting furniture, including office furniture, for personal and business needs. Downtown Orlando and its surrounding areas provide shoppers with a wonderful selection of new, used and refurbished office furniture. Although some retailers limit their stock to new or pre-owned furniture items, many of them offer new, preowned and refurbished office furniture at the same location. The following retail stores are a few of the many excellent retail outlets in Orlando. Located in downtown Orlando at 4815 West Colonial Drive, MLA Office Furniture provides customers with a wide variety of new and used office furniture. Whether you are looking for an affordable desk or a top of the line fully loaded used Herman Miller Aeron office chair, MLA Office Furniture is a great place to check as they update their pre-owned furniture stock on a regular basis. In addition, the company offers its customers the option of leasing or renting their office furniture. With the wide variety of stores selling office furniture in Orlando, there is sure to be one that has the perfect furniture to fit your needs, style and budget.